OVERLAND PARK, Kansas – Hoppe’s, the best-known name in gun care products, welcomes competitive shooting icons to the Vista Outdoor booth (#14551) at the SHOT Show in Las Vegas, January 19-22. Show attendees will have the opportunity to meet “Shooting USA” host John Scoutten and world-champion shooter Jessie Duff, as well as rising star Missy Gilliland. Recognized as one of the most accomplished competition shooters in the world, Jessie Duff has won both world and national championship titles, including the Bianchi Cup and the Steel Challenge World Speed Shooting Championships. Duff will join gun guru John Scoutten for product demonstrations on Wednesday, January 20, from 3-4 p.m. and Friday, January 22, from 10-11 a.m.
Hoppe’s is proud to present a Women’s Day event at the Vista booth on Thursday, January 21, during which attendees can meet four superstar ladies—Duff, Gilliland, Federal Premium ambassador Julie Golob and Savage Arms ambassador Junie Pack —and take part in a question-and-answer session from 11 a.m. to 12 p.m.
All attendees are encouraged to stop by the Vista Outdoor booth (#14551) at the 2016 SHOT Show to visit with their favorite celebrities and learn more about the latest products offered by Hoppe’s. 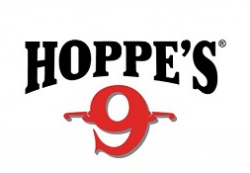 Hoppe’s, a Vista Outdoor, Inc. brand, serves shooters of all disciplines, offering gun care products that meet the rigorous standards Hoppe’s established more than 110 years ago. www.hoppes.com.